We bought a fixer upper in Lafayette that required foundation repair, re-piping to replace old galvanized water pipes, replacing main electrical panel and re-wiring the entire house, plus remodeling the kitchen. Having Creation7 manage and coordinate the schedule was very helpful especially when navigating through a very wet and rainy winter that caused many delays. Asaf, who managed the project for us, was very helpful and responsive. We sync up on the project many times per week and he would be very understanding on our requests. Overall the end result was great and after a few months of work we are enjoying the house very much. Thank you very much Maria & Rolando, It was a pleasure working for you guys and we hope it becomes a place of many happy moments! I worked with eyal in 2015 who was head of SF bay area branch of treeium.com at the time. Eyal was extremely honest and helpful on this ~ $500K residential home remodel. He selected an fantastic team of subs & treeium employees. The project was a resounding success. I kept loosely in touch with Eyal over the years. 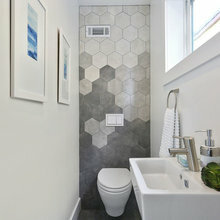 Recently, I had some major trouble with a local GC who I hired to re-do our master bathroom. I had to let him go with about 70% job completion. As most people know, this is an extremely difficult position to be left in as most contractors will resist taking up a job relying on someone else’s work. In desperation, I called Eyal to get his advice. He spent time understanding my situation and suggested I call Guy Sharon in SJ. Eyal even called Guy on my behalf. Long story short, I’m back on track now with much credit to Eyal’s referral, and Guy’s honesty and hard, hard work. Please take my word that Eyal is a very honest, competent, friendly, intelligent person. I wholeheartedly recommend Eyal and his company to my friends and family, and to anyone reading this review. 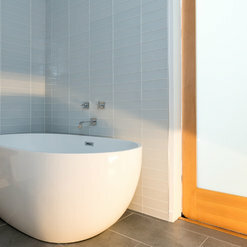 Highly recommend working with Creation 7 for any renovation to your home! Eyal Matalon and Avi Matalon were very personable, knowledgeable, honest, reliable and professional! Not only did they provide quality work but were constantly in touch with me with the status of my renovation! Which I really loved because it gave me a peace of mind so I never needed to worry or chase after them. It was a big remodel so I did a lot of research and interviews with many contractors but so happy that I went with Creation 7! 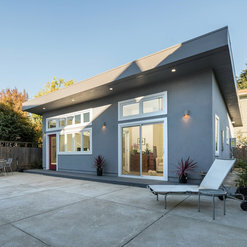 We did a 5,500 SF renovation with the style of Mid-century modern, it was taken down to the studs and rebuilt by their professional and knowledge team! They did Structural modifications, Re-piping and re-wiring, New flooring throughout the house, new drywall, 2 kitchens and 5 and a half Bathrooms, All windows and sliding doors. I was amazed that all this work only took 4 months! Creation7 remodeled my kitchen. I had a short timeline (less than 2 months) because I wanted it to be ready by thanksgiving. They were willing to take on the challenge and were able to deliver. They went to the stores with me and helped me design the kitchen, which was very important to me. When there were challenges, they tackled them without a complaint, and were many times able to create a workaround. All of the workers were very respectful to my entire family. My thanksgiving guests were really impressed with my kitchen, and I am now enjoying baking holiday cookies and breads. I am already planning my next project for Creation7 to work on. I highly recommend them for any kind of house remodel. Thank you Eyal Matalon, Avi Matalon, Assaf! My wife and I hired Creation 7 to completely gut the existing master bedroom and bathroom (removing cabinets, vanities, and fixtures) and to add on an additional 230 sq ft to both plus add a walk-in closet. We had the plans drawn up by our Designer, then put them out for bid by 5 companies including Creation 7. One bid was clearly too low and in checking, we found out they had poor reviews and the contractor they sent with the quote did not seem to really understand the scope of the job. We selected Creation 7 because, after we researched the four other companies, we thought we would have the best job at a fair price. The owner, Eyal and project director, Avi, met with us and went over the contract and walked us through what would take place and the timeline. The next meeting involved Avi introducing us to Yaniv, the construction manager. Yaniv was at our home every work day checking to see that the contractor was completing each phase of the job as per the timeline. He also made sure we knew what was taking place and insured our ideas were transmitted to the contractor. The contractor’s employees were great and accomplished in what their specific jobs were, i.e., plumbing, electrical, carpentry, etc., and were fun to have around, in fact we miss seeing them since the project was finalized. There were some unexpected things that occurred that increased the cost and time to completion, but overall, we are vary satisfied with Creation 7. The final product, due greatly to my wife because she picked-out finishing materials (flooring, hardware, paint colors, etc. ), we are very happy with. 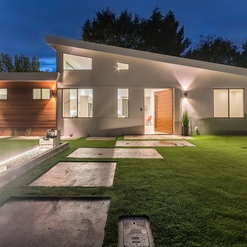 We would recommend them to anyone for a remodel or construction of a complete house from ground-up. Thank you very much for the opportunity to build your Master bedroom addition. its been a real pleasure working for you! I hired Creation 7 to handle my condo unit remodel and am overall pleased about the work they did. The project manager, Yaniv, was great and very communicative and he was gracious with dealing with communication with neighbors, working with a separate cabinet maker I hired, and dealing with some extremely unique neighborhood quirks. Overall the work Yaniv and his team was great, very happy with the workmanship, timelines, and guidance that was given throughout the entire process. Thank you very much for your kind words. We enjoy very much to bring your design ideas into reality! CREATION7 remodeled my kitchen, and I am very happy with the results. Eyal gave me a quote for a summer kitchen remodel with a tight timeline. my tenants were moving out in June and we were moving in in August of 2017. There were several changes made to the first quote as I realized that there was more unforeseen work that needed to be done older house. Eyal quoted and re-quoted several times without issue. At one point, it looked like the repairs may exceed my budget and he worked through every line item with me and we were able to make trade-offs that made sense. They then got to work, starting demolition expediently. 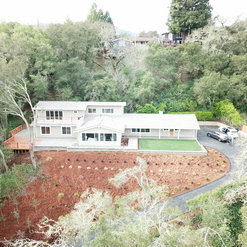 The project took ten weeks to complete, and that included demolition of the entire kitchen and adjoining room as well redoing lots of plumbing and dry wall as we uncovered issues with the older house. I now have an open concept space with the kitchen and dining room as one large area. Every step of the way, they went through the issues with me, carefully evaluated the cost, addressed a bunch of unforeseen issues and still got things done on time. My project manager, Yaniv, could not have been more helpful. He was patient as I asked many, many, questions, included me as he came up with ideas and suggestions, took into account my own ideas and desires, and designed a beautiful space. He gave me recommendations and helped purchase the cabinets, countertops and windows and made good suggestions on how much to spend on each one. He spent a good deal of time working out issues that came up with the cabinets I chose, some of which were unexpected. He also made new drawings for the city to accommodate last minute changes. The workers were polite and friendly. The lead, Jo Jo was meticulous and always available to explain what he was planning to do. Yaniv and Eyal told me they would create a beautiful kitchen for me, and they really did! One of my neighbors stopped by and liked what he saw and had his kitchen redone by them as well with the same results. I highly recommend this company. Thank you very much Jill for your review and more than all thank you for referring your neighbor to do his kitchen with us! It been a great pleasure working with you! 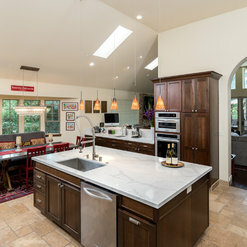 My kitchen remodel has just been completed by CREATION7, and I am very very pleased. I called the company on August 1st of 2017, and three weeks later we signed a contract; two weeks after that we started demolition. The project took twelve weeks to complete, and that included demolition of the entire kitchen as well as tearing down a wall and a fireplace. My project manager, Yaniv, could not have been more helpful. He was patient as I asked many (many, many) questions, included me as he came up with ideas and suggestions, took into account my own ideas and desires, and designed a beautiful space. 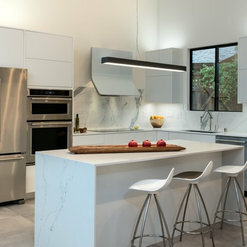 He gave me recommendations on where to buy appliances and approximations on how much to spend on each one, as well as suggesting where to look for backsplashes, countertops and flooring. He drove me down to the cabinetmakers to see the cabinets. When issues arose that demanded changes (ie. water damage under the kitchen floor), I was informed, told what was needed, and change orders were added. Budget was always included in conversations. Suggestions were made on how to maximize improvements without being too expensive. The workers were polite and friendly. The engineer was meticulous and always available to explain what he was planning to do. The owners visited the site a number of times and made suggestions of improvements they thought would maxiize the outcome. Yaniv told me he would create a “gorgeous” kitchen for me, and he really did! I highly recommend this company. 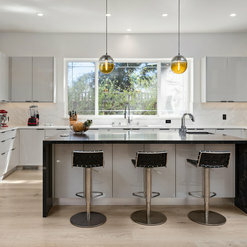 Dear Kay & Pete, Thank you very much for letting us build you "Dream kitchen", we enjoyed very much working with you! 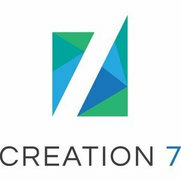 The team at Creation 7 was extremely responsive and reassured us at all times. If something was not working they immediately took care of it. The staff is very nice and I trusted them to be in my house when I wasn't there. 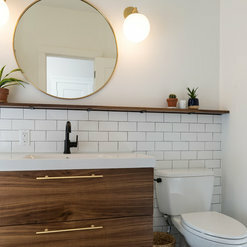 Creation 7 remodeled our bathroom last year and did a wonderful job, so when we decided to start looking for a new house to buy and remodel, we consulted with them even before starting the process. Eyal, the owner, was so helpful and supportive, he came to look at the houses we were interested in and gave his input. 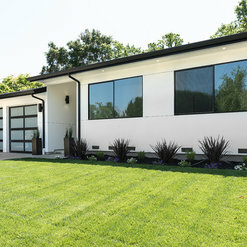 Once we purchased the house, Creation 7 took care of everything, brought an architect who matched our aesthetic, an engineer, and took care of the permits. Once demolition started, the Creation 7 crew were always on site and in contact with us. Eyal accompanied us and helped choose floors, tiles, marble, hardware, etc., he even met with me to look at which shade of white to paint the exterior of the house in. He made many suggestions and always offered different ideas, being able to see the end result and help us get there within our budget and taste. He truly wears two hats, contractor and designer, which is extremely beneficial in this process. We worked with Avi and Assaf, as well, who were always available and responsive to us, they answered our many questions, took care of all the small details, and found solutions to anything that came up along the way. The end result is beyond what we expected. We highly recommend Creation 7 for any project, they are knowledgeable, professional, creative and caring. Commented: Love the vanity...is it custom?No, its not custom. we bought the cabinet as is and fabricated a marble countertop to match. Commented: where can I find flat panel shinny cabinets, I do not want any hardwaHello Jean, I bought the cabinets at Demetra Cabinetry. They have 2 locations-Dublin and San Jose. Commented: What is the name & model of the refrigerator?Sub-Zero BI-48SD Side-by-Side Refrigerator - 48"